While car manufacturers are introducing more and more fancy car safety features, thieves just refuse to give up. Most thieves are opportunistic, so if your vehicle looks under protected, your keys are easily accessible, or you chose to park in an insalubrious place, your car or motorbike could be at risk from the local ne’er do wells. But all is not lost. 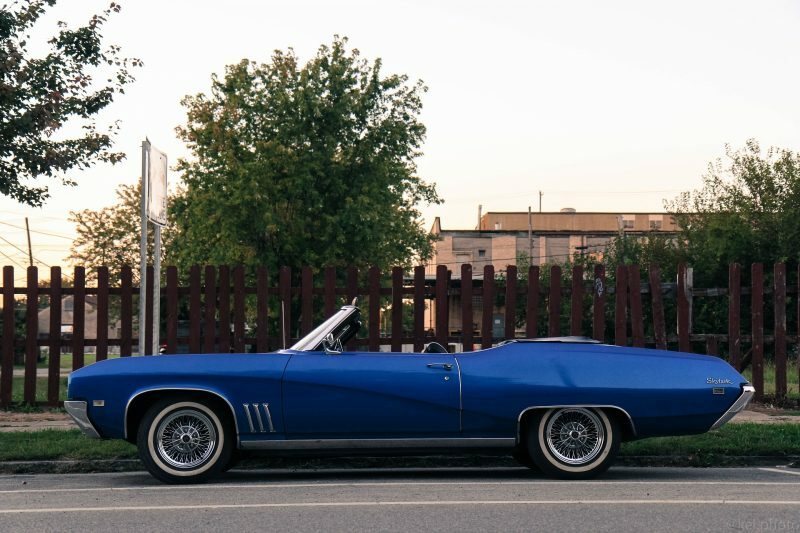 Even if you haven’t got a car with the most up-to-date safety features and your own parking spot, keeping your car safe from break-in or theft is still possible. If you’re driving a car which still requires keys, remember those keys are the gateway to what you own. If someone gets hold of them, they can get into your car and get your car on the move before you even notice that they’re gone. So keeping them safe is of the utmost importance. One of the easiest ways that thieves get their hands on car keys is in bars and restaurants. Men are especially bad for this: we leave our keys on the table because they’re uncomfortable in our trouser pockets when we’re sat down with our mates. The keys left on the table might seem like they’re safe – they’re right under your nose after all – but all it takes is a thief with good distraction tactics, and one momentary lapse in concentration from you and your mates, and the keys are gone, and you might not even notice they’re missing for a few minutes either. Keeping the in your coat pocket isn’t much better either, especially when you hang your coat on a rack or the back of your chair, giving thieves easy access. Keep your keys in your pocket, however uncomfortable they are. When you’re at home, keeping your keys out of sight of the window is essential. Many opportunistic thieves will go around trying doors, and if they try yours and successfully get into your home, if your keys are in an obvious place, those and your car could be gone before you even notice. Hiding them on your nightstand or in a drawer away from the front door is the best way to ensure they’re not at risk. 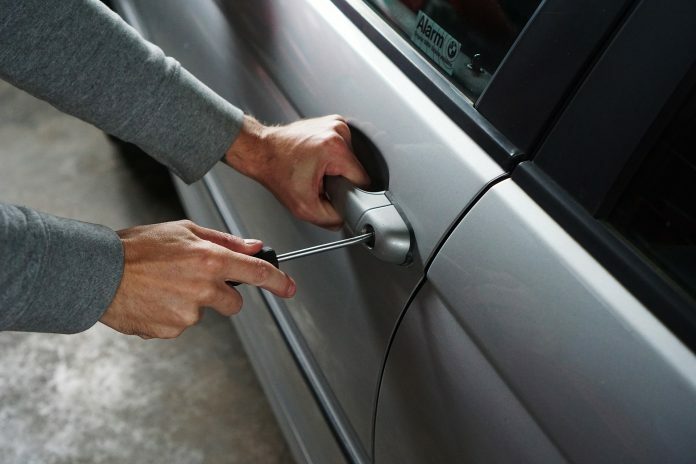 Just like with home burglaries, car break-ins are generally opportunistic. That means, if someone with poor intentions walks past your car and sees your purse, iPhone, or laptop sitting happily on the back seat, the chance of them breaking the window, leaning in, and grabbing your belongings becomes far higher than it would be if the back seat were completely clear. 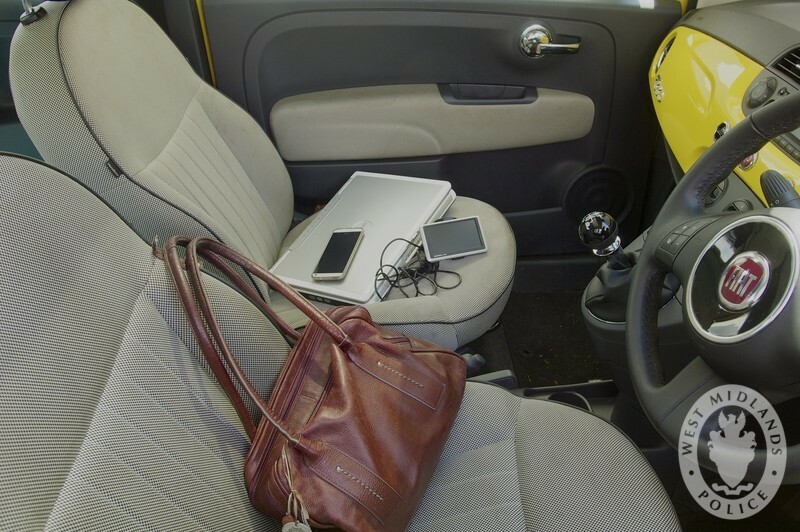 Leaving valuables in plain sight is like advertising to potential thieves what their loot could be. If the car is visibly clear of anything worth any money, the thief is taking a massive risk breaking the window when they might find nothing. On top of that, scrambling around in the boot looking for anything of value takes far longer, which increases their likelihood of getting caught. And that’s not an entirely attractive prospect to a thief. So keep your belongings tucked away in the boot or glove box, and you’re far less likely to come back to a smashed window and no wallet. Whether it’s insurance for motorcycles or cars, you need to know what you’re signing up for, but more importantly, you need to be honest with your insurance company. Obviously, the cost of your insurance is significantly reduced if you have safe, off road parking. But don’t be tempted to lie. If you end up having to claim and your insurance officer discovers that your parking was not, in fact, secure and off-road, you could not only receive zero payout, but you could also be in breach of the law. If your car comes with safety features, you’d be mad not to use them. Anti-theft devices range from alarms to steering wheel locks, hood and tyre locks, and GPS trackers like the ones Subaru now install. Some will come with the car, but others are great investments. The dealer will be able to tell you about the features of the car when you buy it, but it’s worth reading and digesting the manual as well, just to be sure you understand the features and make the most of them. 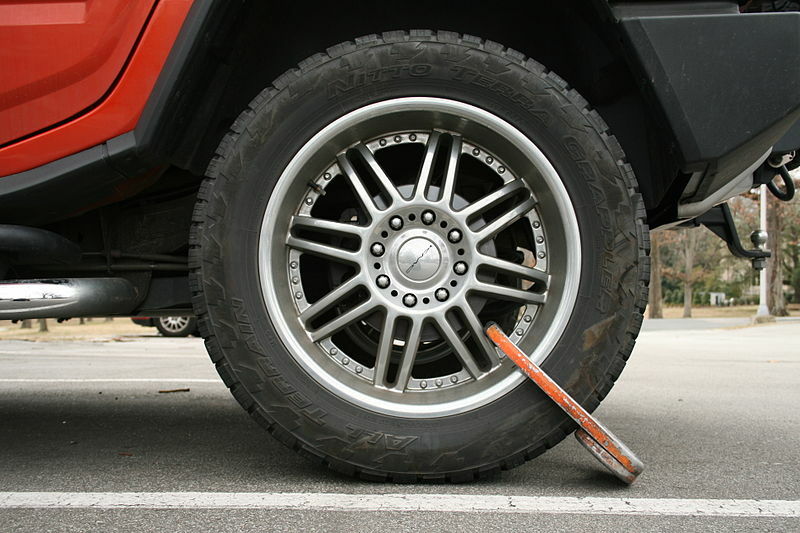 If you’re still worried, a steering wheel lock is perfect for making it impossible for a thief to drive your car away. It is still absolutely imperative, even when you have a wheel lock, that you keep your keys safe, as many people put their wheel lock key on the car keys too. A kill switch is also a good investment, particularly if you have a car which is at high risk of theft. This is a small electrical device which kills the electronics of the car, making it impossible to start unless you go through a series of motions to unlock it. This one isn’t so great if more than one person will be expected to drive the car frequently. The point is, there are so many different car safety features, some inbuilt and some available for purchase, that you can make your vehicle as much of a fortress as you like. A car is far less likely to be stolen or broken into when you park off the street. That means, if you have a garage of a driveway, you should definitely consider using it. If you don’t have this luxury, try to always park in well-lit areas near properties, and preferably with security cameras nearby too. Thieves are far less comfortable breaking glass windows when there’s the risk of disturbing the neighbours and attracting attention. If you’re out for the day, avoid parking on roads, especially if they’re not busy with other cars and pedestrians. The best places for daytime parking are multi-story or open car parks with barriers and attendants who keep watch over the vehicles. Keeping your vehicle safe isn’t difficult, it just involves being mindful of the way opportunistic thieves work.